Rich Mooney and Chris Garvin caught 9 fish using Bottle Trap by the Dam. 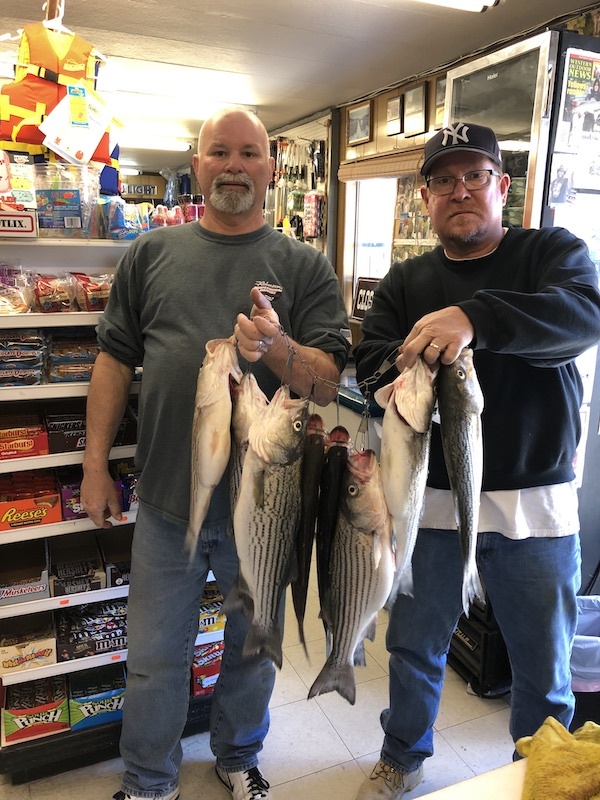 Striper are still being caught off the dock in Miller Canyon and out by the Dam with anchovies and sardines. There is also reports of the Striper in the caves, along the lake and jigs are working well, also to catch 4-5lb. Striper there. 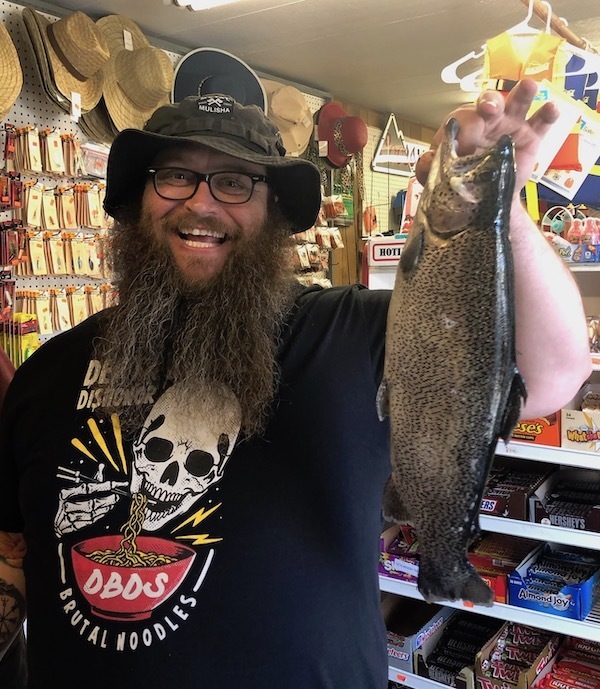 Trout are liking the Power Baits, Bait Pro, spray and dips. 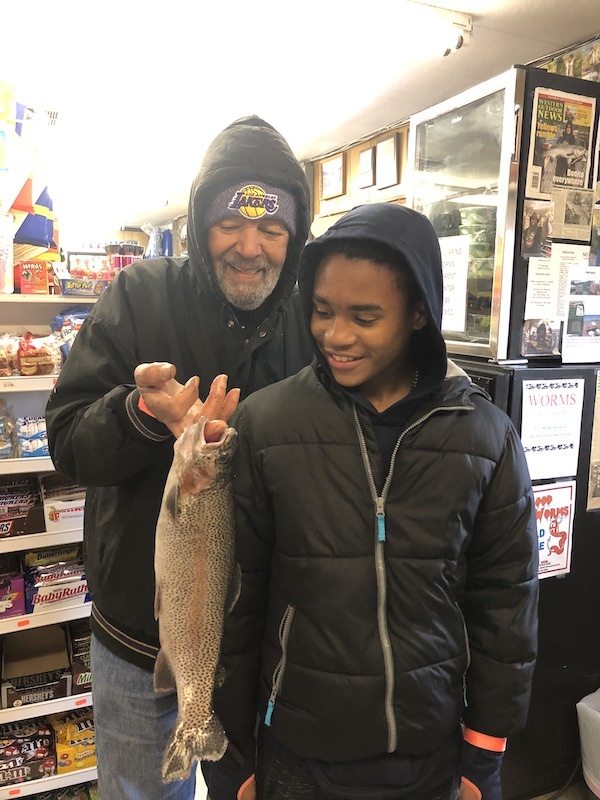 Trout are also averaging 12-24 inches in length and 4-6 pounds. 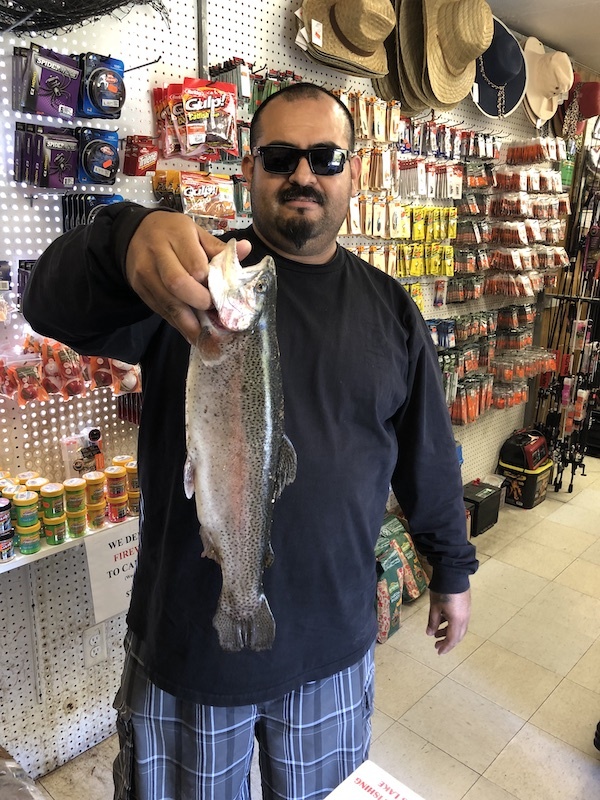 Anthony Avial caught these 2 Rainbows with a Jig. The largest weighed in at 3 pounds. 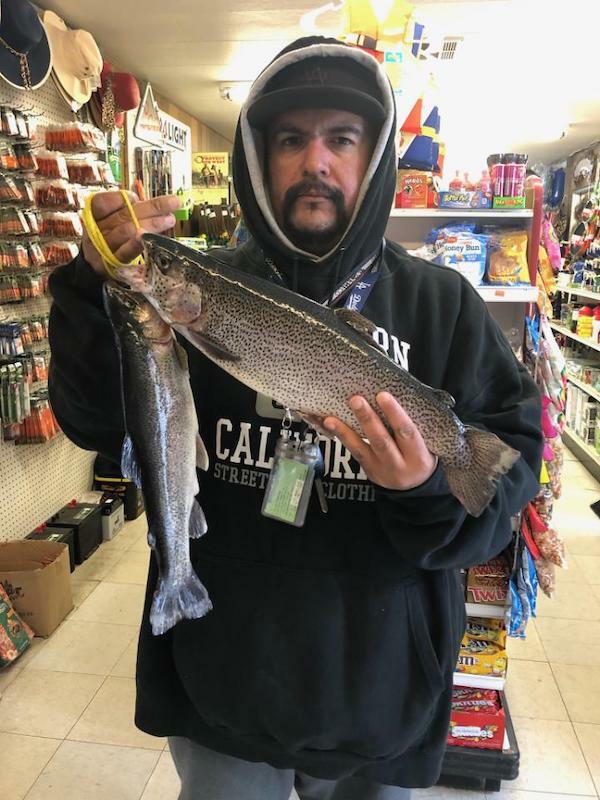 Carlos Avila caught this Rainbow using Ika Lure near the Miller Cave. 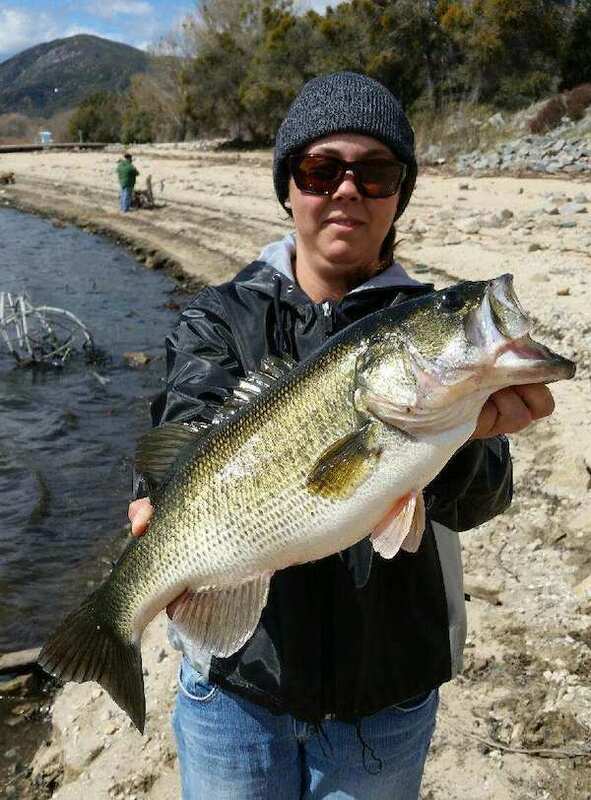 The fish weighed in around 4 pounds. Caught 5 fish using anchovies off the dock.